Competition law, at both the EC and UK levels, plays an important and ever-increasing role in regulating the conduct of businesses. Based on the premise that open and fair competition is good for both consumers and businesses, competition law prevents businesses from entering into anti-competitive agreements and from abusing their dominant market position. Competition Law and Policy in the EC and UK looks at how competition law affects business, including: co-ordinated actions; pricing behaviour; take-overs and mergers; and state subsidies. It provides a clear guide to and outline of the general policies behind, and the main provisions of EC and UK competition law. Information is presented within a structured framework, complete with a glossary of useful terminology. 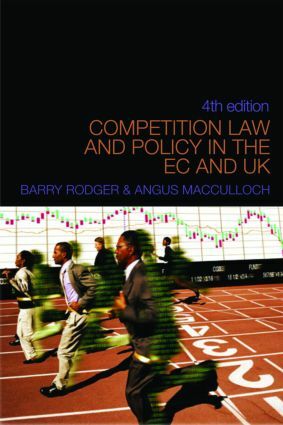 This fourth edition has been revised and updated to take into account developments since publication of the previous edition, including expanded coverage of the regulation of cartels, the development of private enforcement, the consideration of IP issues in Microsoft, and extended discussion of UK competition Law.